No financial advisor can know everything, and no single investment management strategy works every time. At KerberRose Wealth Management LLC we believe a team of experienced financial advisors using a thoughtful combination of investment strategies maximizes the likelihood of achieving your personal financial goals. Tony has over a decade of experience in the financial services industry. He specializes in helping private and public sector employers set-up and manage their employee retirement plans. Tony also provides investment management services for individuals, non-profits and corporations. Tony has a Bachelor degree in Finance and Economics from North Central College. Tony holds several designations including AIF® (Accredited Investment Fiduciary), CFP® (Certified Financial Planner Professional) and CRPS® (Chartered Retirement Plan Specialist). Tony has several licenses including FINRA Series 7, 24, and 66 securities licenses; and health, life, and variable annuities licenses. He is member of the Retirement Plan Advisory Group (RPAG). Tony lives in the Shawano area with his four daughters and two labs, Nova and Winchester. Tony is actively involved in the local community working with many local charities, organizations and supporting his daughters many activities. Tony enjoys golfing, hunting and spending time with friends and family. Jennifer enjoys assisting clients with financial and retirement planning. She believes in an individualized approach that takes into account client specific objectives. Jennifer has over 20 years of experience in accounting and is a Certified Public Accountant. She graduated with a Bachelor’s Degree in Accounting from Silver Lake College. She holds a FINRA Series 7 General Securities Representative License and a Series 66 Investment Advisor Representative License. Jennifer is a PFS (Personal Financial Specialist) credential holder. Jennifer and her husband Pete spend the majority of their free time with their two daughters. In the summer Jennifer enjoys golfing and gardening. During the winter months she is an avid downhill skier. Daniel has over 25 years of experience in the financial services industry providing financial planning and portfolio construction services designed to help clients achieve personal and family goals. With a seemingly unlimited array of financial products available in today’s marketplace, Dan has the experience to help clients determine which products create the best opportunity to achieve financial success through fundamental portfolio analysis focused on portfolio structure, managing risk and controlling costs. Dan has a Bachelor’s degree in Business Administration and Economics from the University of Wisconsin - Green Bay and is a graduate of the College of Financial Planning. Dan has several licenses including FINRA Series 7, 63, and 65 securities licenses; and health, life, and variable annuities licenses. Dan and his wife Vicki live in the Luxemburg area and have two children, Jacob and Molly, both whom attend the University of Wisconsin - Madison. Dan is actively involved in the local community working as Treasurer for the Green Bay Wildlife Sanctuary and serves on the Corporate Board for the Einstein Project. Dan enjoys golfing, fishing, riding his Harley Davidson as well as taking statistic’s for the Luxemburg-Casco varsity football team and umpiring Little League baseball. Scott’s interest in investing began way back in 6th grade when his class participated in a stock market challenge where they were tasked with investing pretend dollars in a company. Scott was hooked after that experience and knew he wanted to spend his life’s work helping others with their money and investments. Prior to joining KerberRose, Scott had spent the last 13 years helping Wisconsin’s public employees plan for their retirement through their workplace retirement savings plan. His goal is to help clients realize that their money and investments are simply a tool to help them achieve a particular goal or the lifestyle they want. Once clients take that mindset, it really helps relieve the fear and angst that many have when it comes to investing. 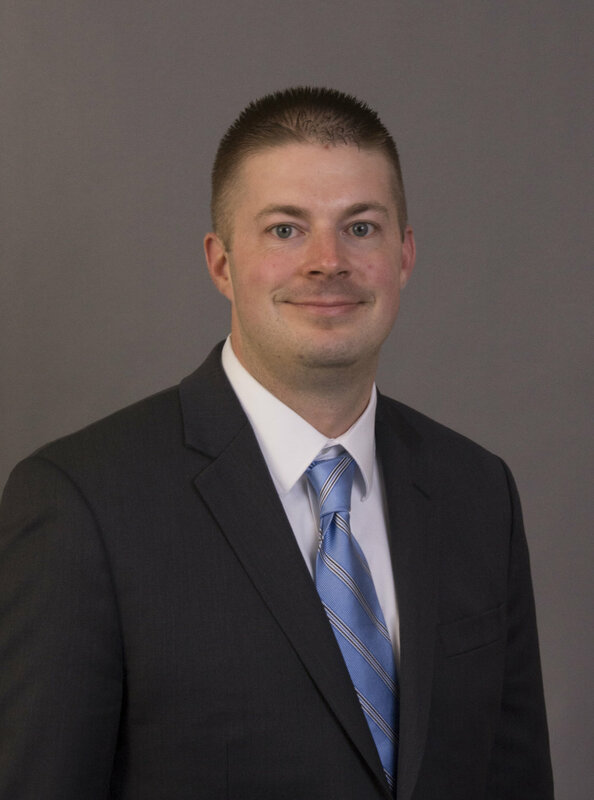 Scott has a bachelor’s degree in Finance with a Financial Planning Emphasis from the University of Wisconsin – Whitewater. Scott is a CFP® (Certified Financial Planner Professional) and a CRPC® (Chartered Retirement Planning Counselor). Scott holds a Series 65 License along with Wisconsin Life, Variable Life, and Variable Annuities licenses. Scott lives in the Fox Valley with his wife Mandy and two daughters – Kendall and Brynn. When he’s not busy carting around his daughters to gymnastics, Scott enjoys golfing, deer hunting, and cheering on the Milwaukee Brewers. Mark enjoys working with clients to help them pursue the lifestyle they desire for retirement. He understands the importance of a client’s financial future, and through and individualized approach, helps get them where they need to be. Mark graduated from the University of Wisconsin Green Bay with a bachelor’s degree in Finance. He then perused an MBA in finance from Lakeland University. He holds a FINRA Series 7 General Securities Representative License, Series 66 Investment Advisor Representative License, and a Life and Health Insurance License. Mark enjoys being involved with various community events and organizations. In the summer, he enjoys the outdoors, golfing, and riding his dirt bike.